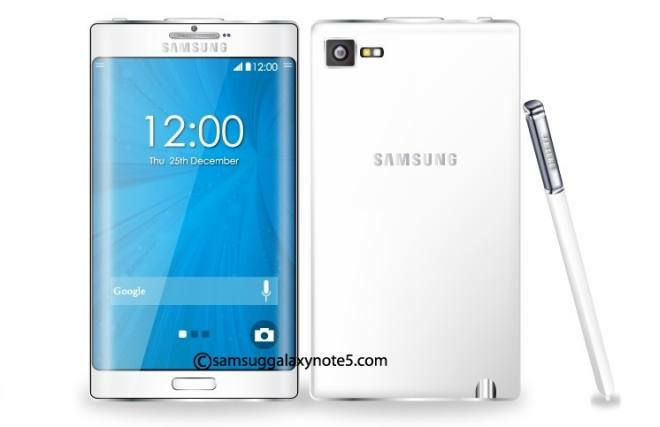 The Samsung Galaxy Note 5 is the latest flagship, tablet sized smartphone released by Samsung. It encompasses many of the features you expect in a modern flagship smartphone such as a gorgeous screen, a fast processor, a high-end camera, wireless charging, and more. The Note 5 also offers some great unique features such as the S Pen, fingerprint reader, and YouTube Streaming. The Galaxy Note 5 does have some disadvantages however. I wish it had a bigger battery. I also wish it had some of the voice features found in Moto Apps. Should you buy the Samsung Galaxy Note 5? Before you whip out the credit card, be sure to check out my top Samsung Galaxy Note 5 pros and cons. Big, gorgeous 5.7-inch display. Samsung makes the best smartphone screens and the Note 5’s screen is no different. It’s sharp, bright, and can be used in direct sunlight. Great looking design. Glass backing and metal around the edges makes the Note 5 look like a premium phone. The best camera available on any smartphone. The Note 5 shares the same camera as the Galaxy S6 which has been recognized as the best camera on a smartphone. Top of the line specs and performance. I have yet to experience lag on this thing. Fast wireless charging. Fast wired charging too! S Pen support. When you pull out the pen, you can immediately start writing on the screen, without explicitly turning on the phone. This one change alone increased my pen usage by 1,000%! 4GBs of RAM. This comes in handy if you are the type that doesn’t frequently clean up your running apps. Multi Window Function. I don’t use this much myself but it’s nice to have. Accurate fingerprint sensor. To ensure accuracy, make sure that you place your entire thumb on the sensor during the initial setup. Physical home button. Makes it easier to locate, in my opinion. Quick launch camera. Double press the home button and your are ready to record photos and video. Nice, loud ear piece and speaker. Calls can be heard loud and clear. Changeable themes. You can easily change the look of the interface with some cool selectable themes. Live YouTube Streaming. This is an awesome capability. Keyboard Case accessory! Haven’t tried it but it looks cool. Samsung Pay. If you like paying for stuff with your phone, you will have that option with the Note 5 (unless you are on Verizon!). No MicroSD Card Slot. To expand the storage, your only option is to pay an extra $100 for the 64GB version of the phone. You won’t be able to use an SD card that you already own. Some may find getting files into their Note 5 to be a hassle. No 128GB storage option. Since the Galaxy Note 5 lacks a MicroSD card slot, it would have been nice to have an option for 128GB internal storage. Since it has such a great camera, the extra storage would come in handy. Expensive. With Motorola releasing flagship phones at half the price, coupled with carriers dumping subsidized phones, Samsung may face some significant headwinds with its pricey phones. Fragile. Glass on the front and back means double the chance of breaking the glass on your phone. Make sure you protect your Note 5 with a phone case! Battery is only 3000mAh. Considering its screen size, resolution, and powerful processor, the Note 5’s battery may seem small to some. I almost always make it through one day of use. Battery is non-removable. Some power users will miss being able to swap in fresh batteries. However, the Note 5’s fast charging capability may make up for the lack of a removable battery. It’s tall and narrow. It’s nice having a large screen but that extra screen real estate is accomplished by making the phone taller and not wider. While this may help with one handed operation, you really don’t get the sense that you have a tablet sized phone. I much prefer width of the original Galaxy Note. Maybe too big for some. You should definitely handle the Note 5 before you buy it to make sure the size is OK for you. No USB type C support. It would have been nice to see the new USB standard supported on this device but this is definitely a minor con. Not dual sim. Another feature you’d like to see on a flagship phone is not available with the Note 5. Not waterproof. Perhaps a waterproof model will be released at some point. For now, don’t get your Note 5 too wet! No Infra-Red Blaster. It would have been nice to see this feature return to the Note 5. I would have liked using the phone as a universal remote. Oh well. No “Moto Apps” style voice functionality. My Droid Turbo features caller ID announcement, the ability to accept or reject incoming calls with my voice, and the ability to hear and respond to text messages without touching my phone. It would be nice if the Note 5 have these features. I like the Note 5 but I absolutely miss these features. Retrieving the S pen is slower now than in the past. Plus, if you put the pen in wrong, you will ruin your phone. Should you buy the Samsung Galaxy Note 5? The Samsung Galaxy Note 5 is an awesome phone. It has the best screen, the best performance (after maybe the S6, per a few reports), and the best camera. Battery life is good. Unique features such as the S pen, the fingerprint reader, and YouTube Streaming makes the Note 5 a very compelling device. If you are in the market for a flagship Android phone, the Note 5 should be on your shopping list. With that all said, I definitely miss the Moto Voice Apps on my Droid Turbo. Voice caller ID and accurate voice text messaging are the bomb. Once you experience it, you won’t be able to live without it. My Droid Turbo also has better battery life. Yes, the Turbo’s camera isn’t nearly as good. Hopefully the Turbo 2 will have a better camera. I recommend the Samsung Galaxy Note 5. As long as you don’t mind its disadvantages and drawbacks, the Note 5 is great. I, however, am returning the phone. I’ll miss the Note 5’s camera, S pen, and fingerprint reader but I will get back Moto Apps and the bigger battery. Good article to read about Note 5, but for the cons, only some models like N9208 (Hong Kong); N920C/N920CD (UAE, Africa) support dual sim. Because I’m using SM-N9208. That’s all, cheers. If the disadvantages stop the Note 5 from appealing to you, what device would you reccomend in its place, Tai?